Here we are... in your Bathroom. Take a good look around. How does it FEEL? Do you love it? Can you relax here? Is it fresh and soothing? Do you enjoy those precious moments in the tub relaxing here, or... is the paint peeling in the corners and mold lurking in the shower? If your bathroom has been left behind in the last century, it is good to consider an update before you list your home for sale. Just like the kitchen, your bathroom is the most costly room in the home to renovate. If you have an outdated bathroom, your potential buyers will see it as the great opportunity to offer substantially less for your home. To prevent that, and save yourself some aggravation, consider a bathroom spa creation before listing your home for sale. If your bathroom needs just a cosmetic face lift, the solution is simple and can be done with a minimal investment. All you need is the fresh coat of paint, some new towels, candles, perhaps a new shower curtain and some good old elbow grease to clean it, maybe even you can splurge on the new faucet. If walking into your bathroom gives you the shivers, because you still can't figure out what to do with those harvest-gold fixtures... you need to consider a bigger investment of time and money to bring it up to date. So let's take a look at your options. You may rip out the bathtub, the toilet and the sink and start new with white fixtures. You can get those in any Home Improvement store. I know that money is always an issue, so be sure to also visit places like Habitat for Humanity Restore Stores and big box retailers for great bargains. Just remember that you are after that spa bathroom feel is what we are after. If you create that welcoming, relaxing space your buyers will remembers your home just for that reason. We all need serenity in our lives, if you can convince your potential buyer that they will get just that from your bathroom... you are on your way to a profitable sale. 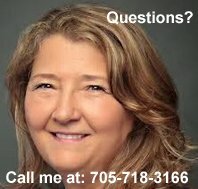 Please give me a call, and we can talk about the needs of your bathroom. I have some great money saving ideas that can change your tired bathroom into that spa bathroom getaway everyone is looking for. Return to top of Spa Bathroom Renovation page.